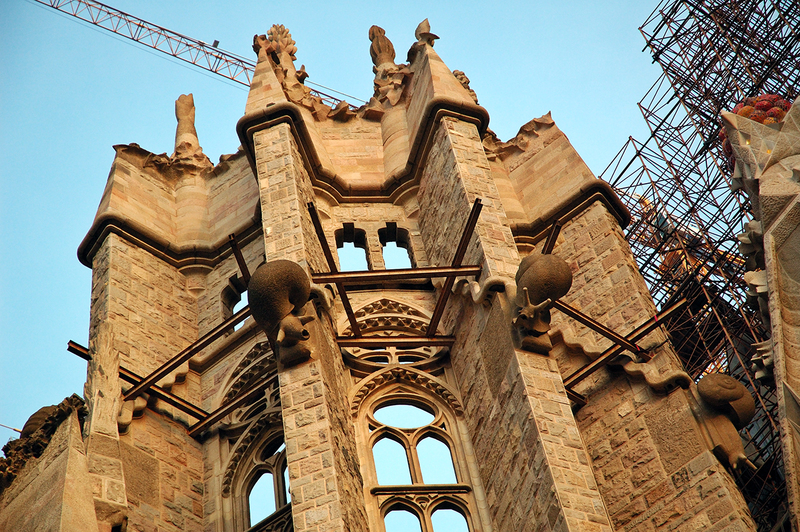 Not too long ago I showed you the picture of two lizards by Gaudi on Sagrada Familia's cloister walls. To enhance this aspect of Gaudi's creation, that is the use of mythology and animals in his work I leave you with these snails that seem to crawl as slowly as my posts go appearing this week. Remember that modernisme was very fond of nature elements, floral or animal. I cannot imagine the faces of Gaudi's fellow citizens looking at these snails feeding on a giant lettuce wall. I love these snails! How charming!